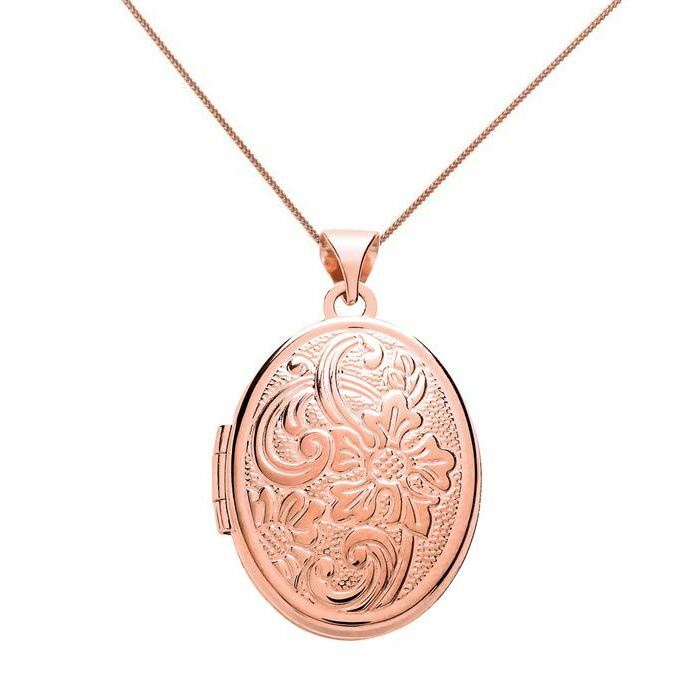 9ct rose gold patterned oval locket. 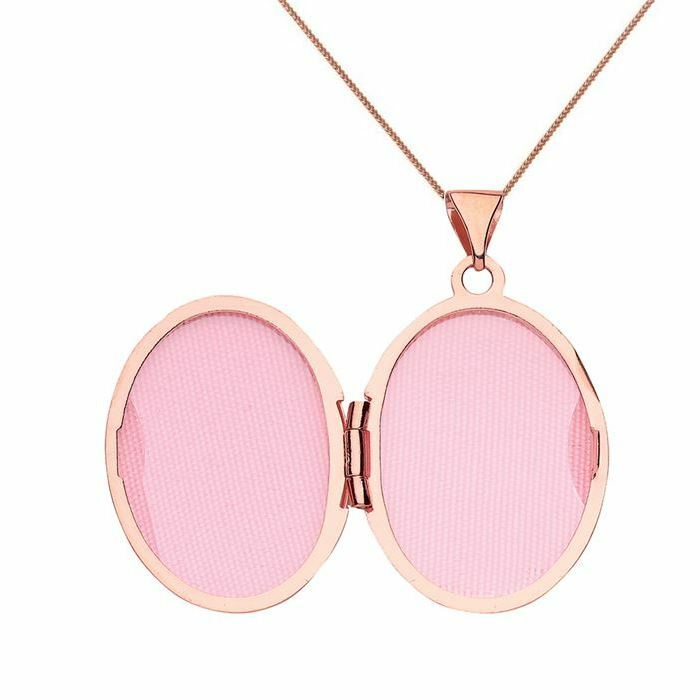 This classic rose gold oval shaped hinged locket measures 20mm in height and 15mm in width. It is suspended on a 9ct rose gold curb chain. Comes complete with presentation box. British made and hallmarked. Please allow 3 working days for free UK delivery.